Superannuation – Is it as safe as people think it is? Claw back by trustee of contributions – is this possible? Reversionary pensions – can you pool contributions out? 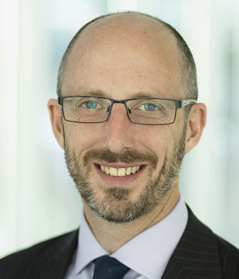 Phil heads Sladen Legal’s superannuation team. He is a member (and past member) of multiple superannuation related committees, and is a regular author and presenter. Phil’s clients include private business owners, accountants, financial planners, self managed superannuation fund (SMSF) trustees and high and medium net worth individuals. He has acted for industry and retail superannuation funds. Phil prides himself in providing solutions and structuring for clients in a holistic manner taking into account each client’s situation and structure. He has, on numerous occasions, successfully objected against, and negotiated with, with the Australian Taxation Office (ATO) in superannuation related matters and the Victorian State Revenue Office (SRO) in relation to state taxes matters (duty and land tax in particular). Phil's articles have featured in The Tax Institute’s Taxation in Australia Journal and CCH’s Super News. He has also presented at seminars and conferences conducted by The Tax Institute, the Television Education Network and various accounting bodies.